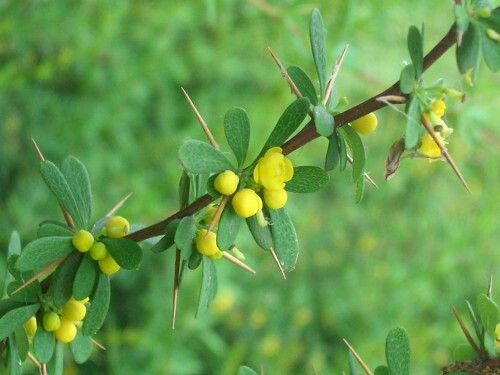 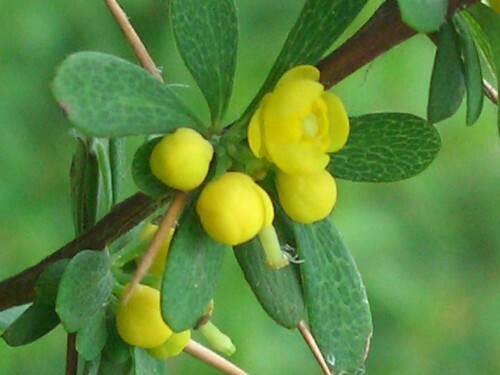 There are about 450 different types of barberry, some evergreen, others deciduous. 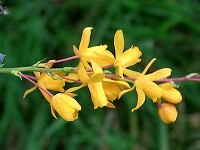 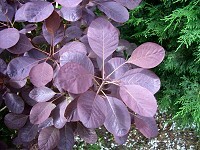 Many have attractive flowers but some are grown for the foliage. Most of them are spiny. We have several varieties in the garden since the deer (roe deer and muntjac) do not seem to eat them. 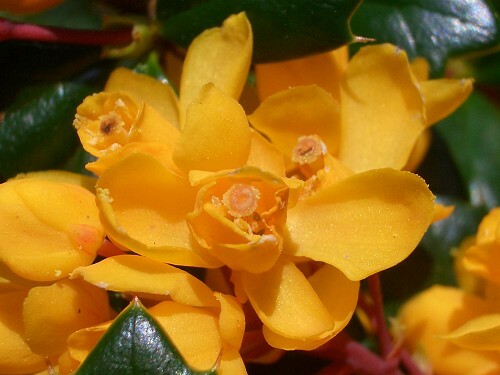 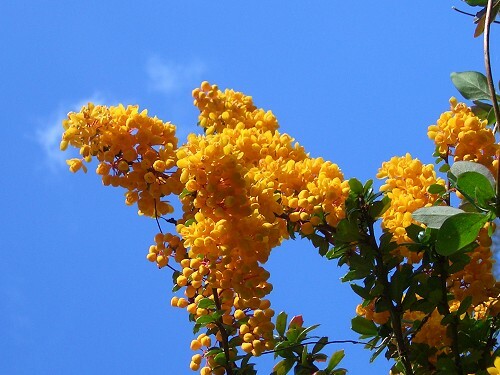 Berberis darwinii is very attractive with clusters of orange flowers in spring followed by dark blue berries. 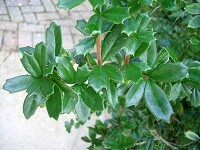 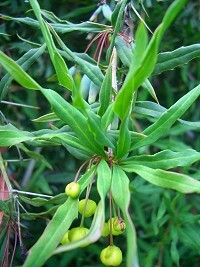 The leaves are small, dark green and glossy. It is a native of Chile but seems to thrive in this country. It is tolerant of most soils and grows well in full sun or part shade.